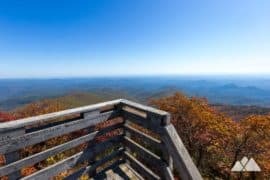 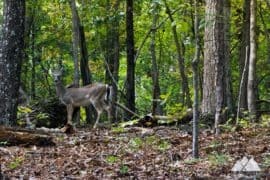 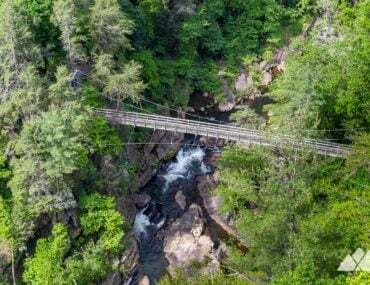 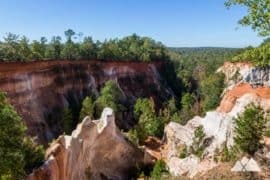 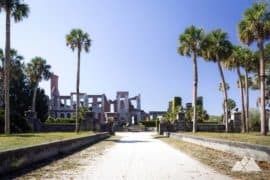 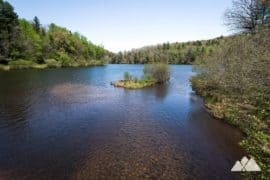 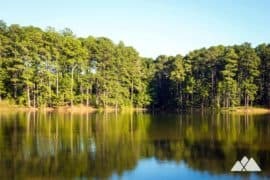 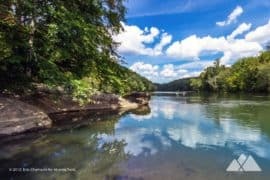 Find an outdoor adventure in Georgia! 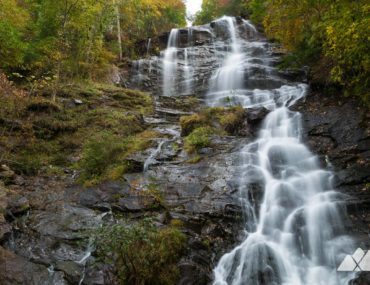 Explore Georgia’s stunning beauty and diverse landscapes with our Georgia destination guides, featuring our favorite hiking and running trails, places to stay, campsites and cabins, as well as tips to get the most out of every adventure. 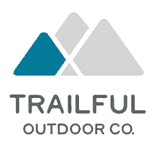 Looking for even more outdoor adventure? 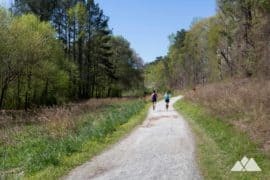 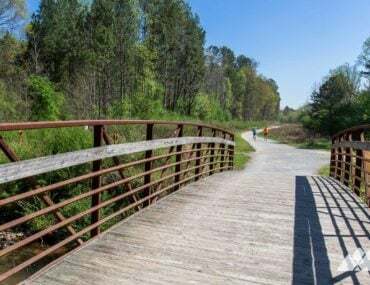 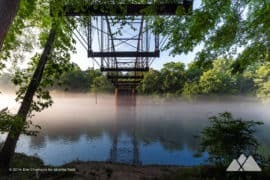 Our Georgia Trail Blog features Georgia’s best trails, how-to, beginner’s guides and more. 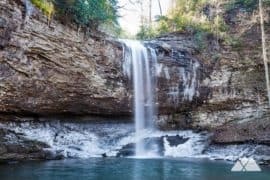 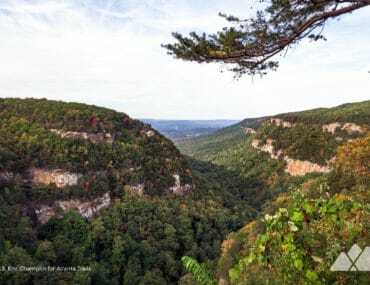 Hike to Cloudland Canyon’s stunning views and tumbling waterfalls, and sleep under the stars at the park’s best campsites. 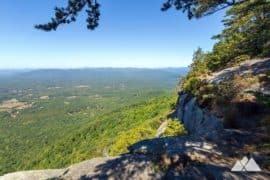 Our adventure guide for this ultra-scenic Georgia State Park. 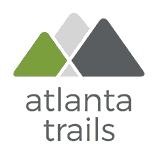 Hike or run our favorite trails at Kennesaw Mountain National Battlefield Park near Atlanta. 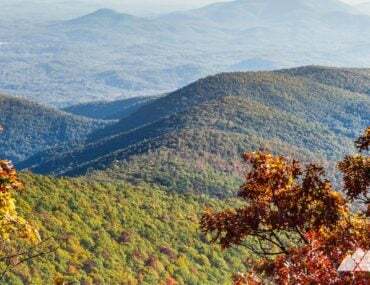 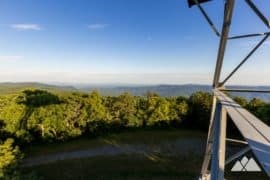 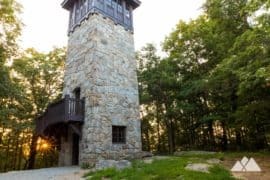 Explore the mountain’s Civil War history, climb to stunning summit views, and explore a rolling, rocky forest on more than fifteen miles of the mountain’s best trails. 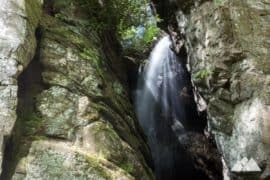 Georgia’s Rabun County is rugged, wild and beautiful. 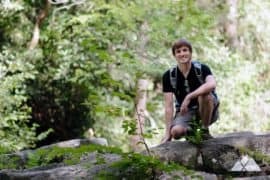 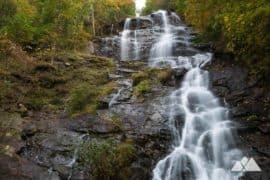 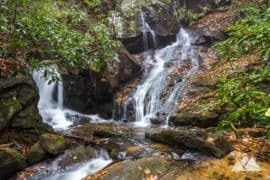 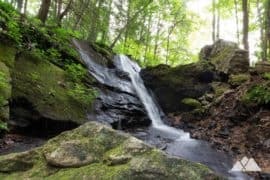 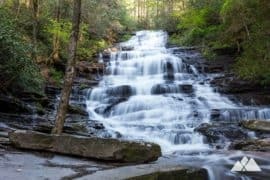 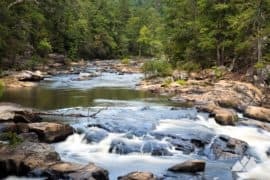 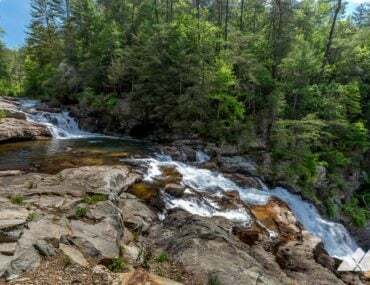 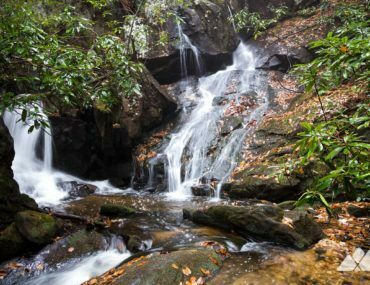 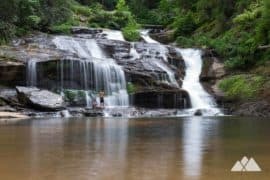 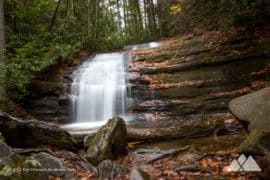 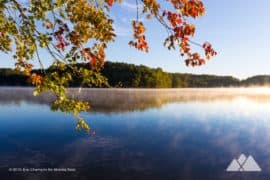 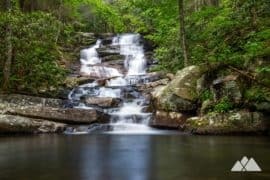 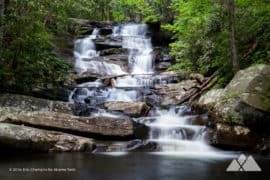 Hike our favorite Rabun County trails to spilling waterfalls at Lake Burton and Lake Rabun, towering summits near Clayton like Rabun Bald, and Bartram Trail hikes on the crystal-clear Chattooga River. 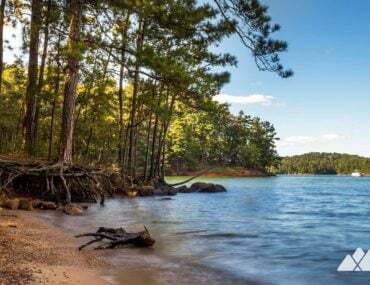 Follow our favorite trails at Red Top Mountain through ferny pine forests to stunning views of Lake Allatoona. 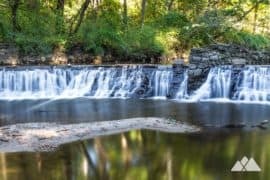 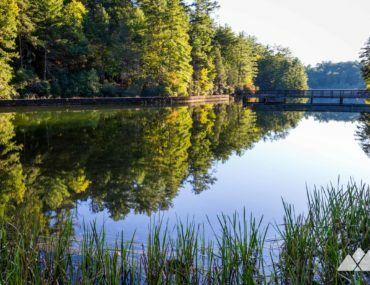 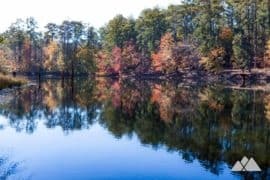 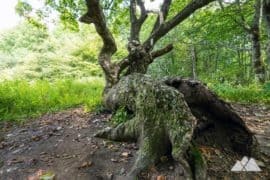 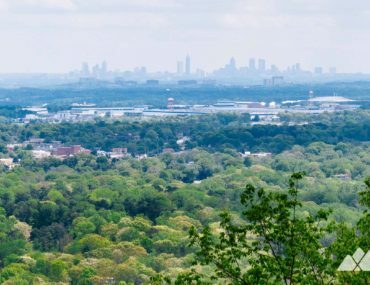 At just under forty miles from Atlanta, it’s one of our all-time favorite hiking spots close to the city.